Islamist terrorist groups in the Sahel and Sahara are attempting to exploit pastoralist grievances to mobilize greater support for their agenda. A Fulani man herds cattle in northern Cameroon. Photo: Philou.cn. The FLM strategy is potentially extremely destabilizing because it risks fusing Islamist terrorism in the Sahel with pastoralist grievances and communitarian violence. Mobilizing wider pastoralist communities like the Fulani for an Islamist agenda, as Kouffa is trying to do, would give terrorists traction among deep-seated societies that cover wide expanses of territory. It would thus confer a new ferocity, persistence, and reach upon terrorism in Africa. Conflict between Fulani herdsmen and farmer populations has a long and brutal history in West Africa that considerably predates the subregion’s terrorist challenges. Since 2001, over 60,000 people have died in pastoralist-related violence in Nigeria alone, often in murderous spikes of bloodshed. In early 2001, 913 people in Jos, Nigeria, died in Fulani herdsman–farmer violence in just a few days. Such killings have occasionally involved atrocities and desecrations. Fulani herdsmen are rumored to have removed hearts from victims. Farmers, meanwhile, can be seen apparently eating the charred flesh of Fulani victims in videos circulated on Nigerian social media. 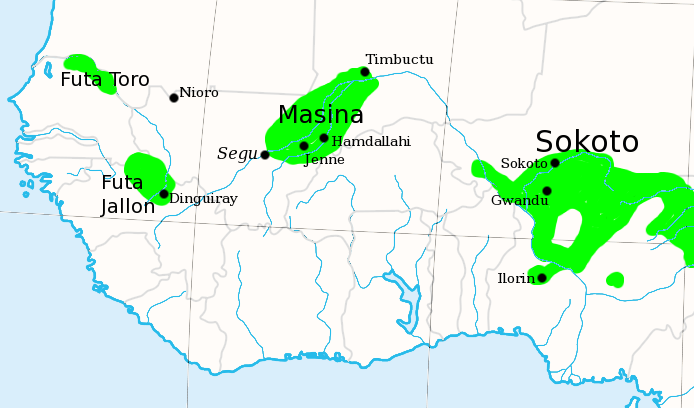 The Fulani Jihad States of West Africa, c. 1830. The structures behind this fanatical violence are deeply rooted and politically entrenched. Nigeria’s government has conferred preferential land rights on those they dubbed indigene (native) to a region, thereby marginalizing and frustrating any so-called settler (foreign) groups, which occasionally includes the nomadic Fulani. Political elites have then manipulated such laws, rallying supporters to protect indigene status or stoking settler resentments for votes. In Mali, a 2001 Pastoral Charter has empowered local authorities to resolve land disputes. However, they can be partial to the farmers who compose the stationary constituents of well-defined territorial jurisdictions, a logic that tends to reinforce the farmers’ grip on both the land and the political system over time. While herder-farmer tensions will undoubtedly persist in Africa, they will be worsened through association with terrorists who actively aggravate hostilities and manipulate ethnic and religious differences attached to the two lifestyles. 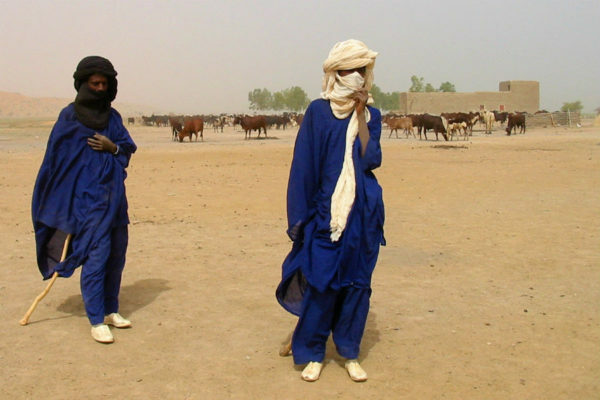 Peul herders in Mali. Photo: KaTeznik. General pastoralist grievances and conflicts could facilitate terrorism’s push into new areas. Islamist terrorists might mobilize herder communities in order to penetrate the Central African Republic and accelerate religious elements of that conflict. They also might exploit pastoralist tensions to extend their influence into Sudan and the Democratic Republic of the Congo. As desertification and drought displace transhumance zones, new conflicts over water and land could provide terrorist groups further opportunities to make inroads. While herder-farmer tensions will undoubtedly persist in Africa, they will be worsened through association with terrorists who actively aggravate hostilities and manipulate ethnic and religious differences attached to the two lifestyles. To counter the FLM’s ploy, African and international authorities and communities of interest should endeavor to unite African farmers and herders against their common enemy. It should be recalled that pastoralists too have been victimized by terrorists. 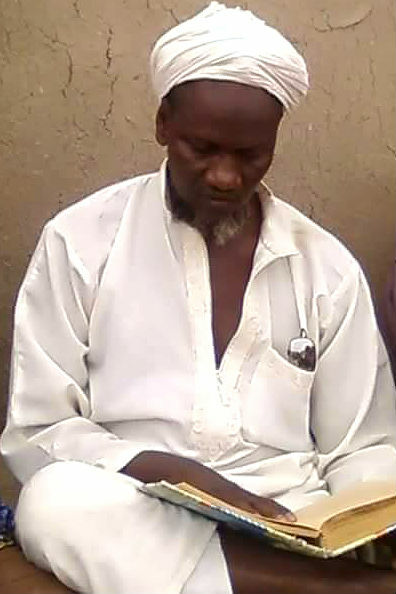 Boko Haram has not only raided farms for food, it has attacked herders to take livestock. Cattle markets have been destroyed, devastating pastoralist livelihoods, and breeders associations report losing thousands of lives and hundreds of thousands of animals to the conflict. And Boko Haram exploits communitarian tensions, reportedly disguising its members as Fulani herdsmen in order to escape detection and move into new areas, then conducting attacks that intensify herder-farmer hatred and instability. 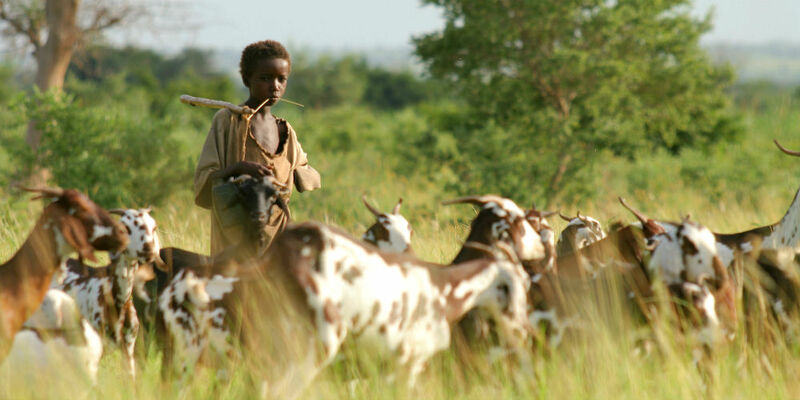 A Fulani boy in Niger herds his family’s animals. Photo: ILRI. Uniting herders and farmers against terrorism will require intentional efforts to defuse tensions between the two communities. Journalists and writers should think twice before publishing inflammatory accounts vilifying pastoralists as ‘herdsmen from Hades’ who continue or extend Boko Haram terrorism. Such coverage exacerbates community enmity and ultimately serves the FLM strategy. Fulani advocacy groups should openly denounce terrorism and should not themselves be tarnished as ‘terrorists’ for attempts to voice grievances and campaign for pastoralists’ rights. Terrorism researchers and scholars ought to reconsider tracking the Fulani-perpetrated violence within herder-farmer conflicts as acts of terrorism, a methodology that can lead to misleading analysis that casts ‘Fulani militants’ as one of the world’s top five terrorist organizations, in a class with the Islamic State, Al Shabaab, the Taliban, and Boko Haram. Pastoralists are not terrorists. While Kouffa and other militant Islamists have aims to tap into these time-honored communities, journalists, scholars, and policy makers should work to underscore the distinction and reinforce the separation. ⇑ Jonah Leff, “Pastoralists at War: Violence and Security in the Kenya-Sudan-Uganda Border Region,” International Journal of Conflict and Violence, Vol. 3: No. 2, 2009, pp. 188–203, 191. Abdisaid M. Ali, “Islamist Extremism in East Africa,” Africa Security Brief No. 32, August 9, 2016. Michael Olufemi Sodipo, “Mitigating Radicalism in Northern Nigeria,” Africa Security Brief No. 26, August 31, 2013. Terje Østebø, “Islamic Militancy in Africa,” Africa Security Brief No. 23, November 30, 2012. Chris Kwaja, “Nigeria’s Pernicious Drivers of Ethno-Religious Conflict,” Africa Security Brief No. 14, July 31, 2011. Clement Mweyang Aapenguo, “Misinterpreting Ethnic Conflicts in Africa,” Africa Security Brief No. 4, April 30, 2010.